It’s an exciting year at TKO with new products being developed and lots of shows and events scheduled for 2018. One of our goals for the year is to develop a network of Distributors and Vendors. So far we are excited with the number of people we have met at events and have contacting us with interest in working with us. Here is a list of the events that we have already attended or are planning on attending this year. If you plan on getting to any of these shows come on over to our TKO booth and say hi. March 9-11 2018 we started the year off at the Boise Roadster Show in Boise Idaho where we made lots of new friends and contacts. 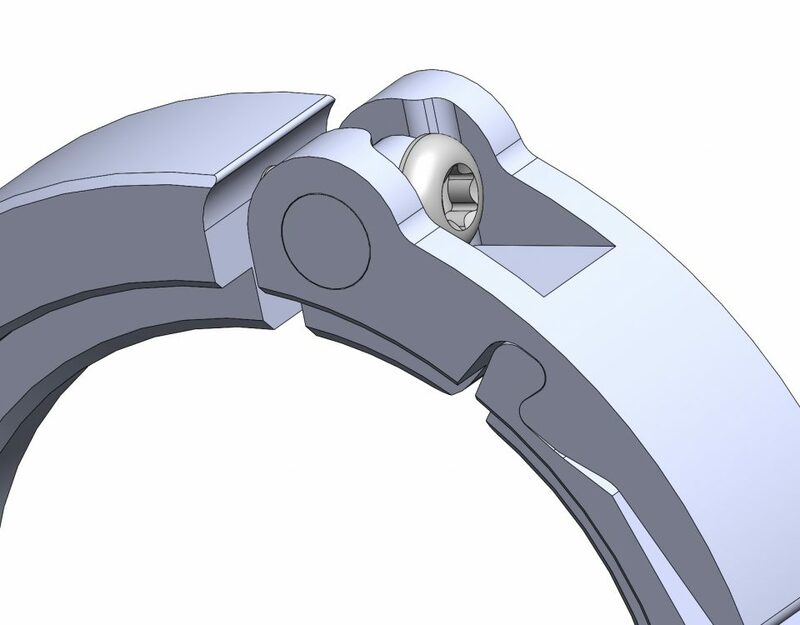 We met the builder/winner of the prestigious Detroit Autorama Ridler Award for 2017 and he showed an interest in our clamps. We are discussing and are excited with the possibility of featuring our TKO products on their Ridler build for this year. March 16-17 2018 found us at Chrome In The Dome in Pocatello, Idaho. This was our second anniversary as a company and being in our home town made this a special event for us. We found many cars at the event already featuring our clamps and many more decided to install our clamps on their cars. April 21-22 2018 we were in Southern Oregon for the 2018 Medford Rod & Custom Show in Central Point Oregon. This was a good show for us and we made lots of contacts with people interested in working with us including moving into the race car world. On Sunday we were excited when Gene Winfield came by our booth. Gene is an American automotive customizer. In the mid-1060s, his designs caught the attention of the film community, resulting in a large body of his work being seen on the screen. 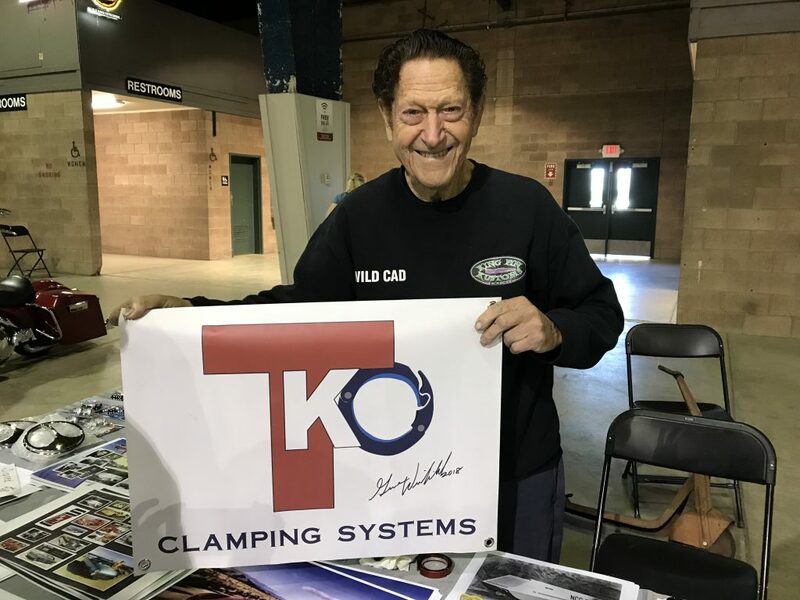 Gene came back to the booth a couple of hours later with his camera and asked Stan if we would be interested in featuring our TKO clamps on a car he is building for the Detroit Autorama Ridler Award. That is very exciting news for us that two famous car builders think enough of our product that they may use us for their builds at an event this prestigious. June 9, 2018 we will be at Cruisin’ Sherwood Classic & Custom Car Show in Sherwood Oregon. This year they have over 500 cars registered to attend the event. Car show from 9am – 4pm and 4pm – 10pm a Block Party. June 15-17 2018 All Wheels Weekend in Dayton Washington. Registration Fri. evening and Sat. morning followed by the Show & Shine, Poker Walk, Outlaw Lawn Dragster Races, Men’s Drag Races and the Trophy Presentation. June 25-26 2018 Stan and Kary will be in Las Vegas to attend the SEMA Exhibitor Summit for a pre SEMA show setup conference. July 5-7 2018 join us for the Cache Valley Days in Logan Utah. Utah’s largest 3 Day Car Show. July 12-15 Rally In The Pines in Salmon Idaho. America’s Great Western ATV & SXS Event. Buggies of all kind will spend 4 days of day trips touring the beautiful central Idaho mountains. 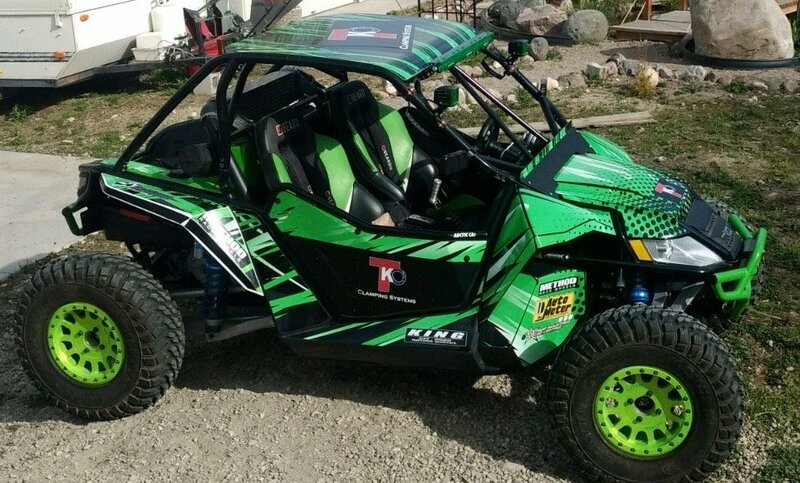 We will have our new TKO Buggy at the show to show off all our “roll bar” accessories. July 27-29 Goodguys 31st Pacific Northwest Nationals in Puyallup Washington. Washington State Fair Events Center. 3000+ cars, Friday Night Drags, All American Sunday, Swap Meet, Cars 4 Sale Coral, Pinstriper’s Brush Bash with 50 of the best pinstripes from the west coast. Vendor and manufacturer exhibits, Live Entertainment and mush more. August 7-11 2018 we will be at Hot August Nights in Reno Nevada. Hot August Nights is the largest nostalgic car show in the world. Located in Reno/Sparks area of Nevada. Cars, music and entertainment, vendors, cruises. 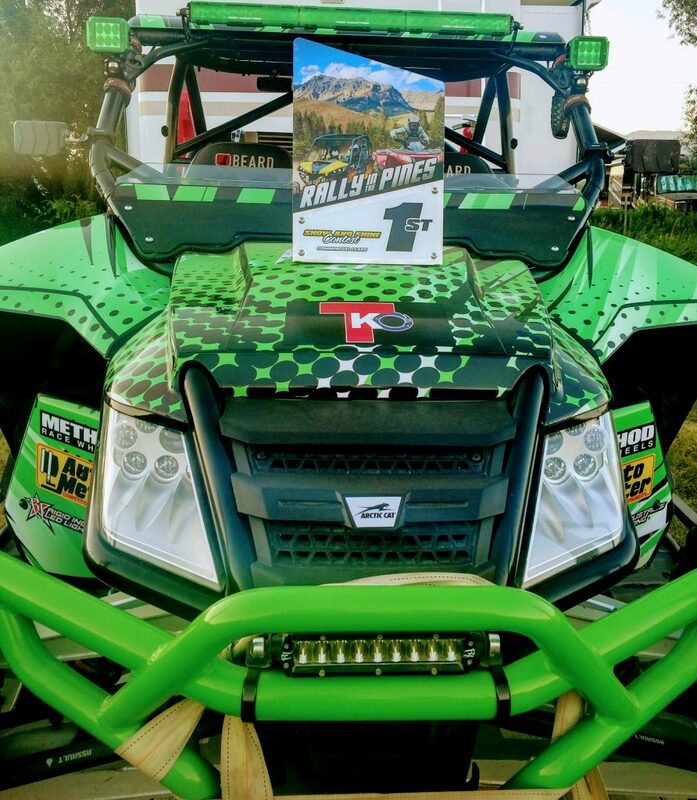 August 30 – September 3 2018 spend Labor Day Weekend with us at the UTV Invasion in St. Anthony Idaho. 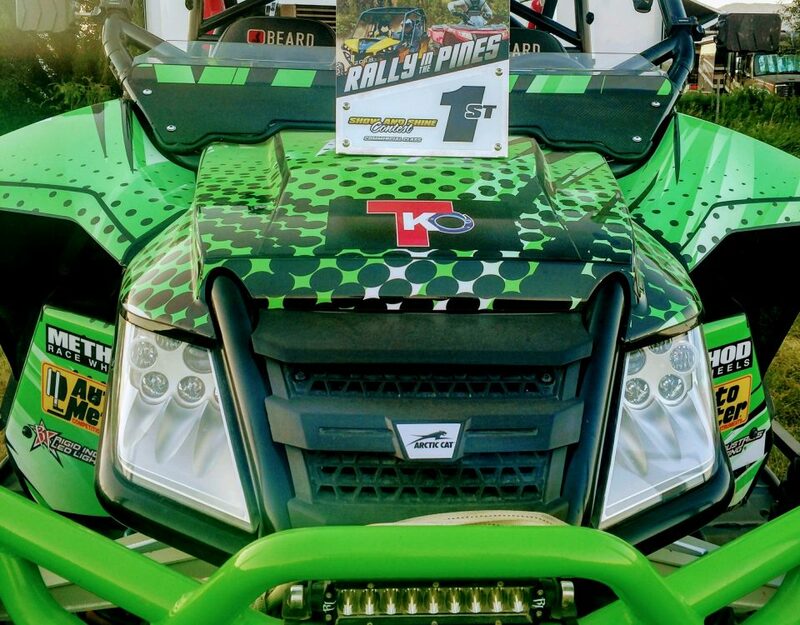 A huge event for all sand toys at the “Largest Dunes in North America”. We’ll have our TKO Buggy there. September 7-8, 2018 we are off to Jackpot Nevada for the Jackpot Deuces Wild Car Show Extravaganza. October 30 – November 2 2018 we will again attend the “Grandaddy of them all” the 2018 SEMA Show. Where last year we won the “SEMA Global Media Award” for best new product. 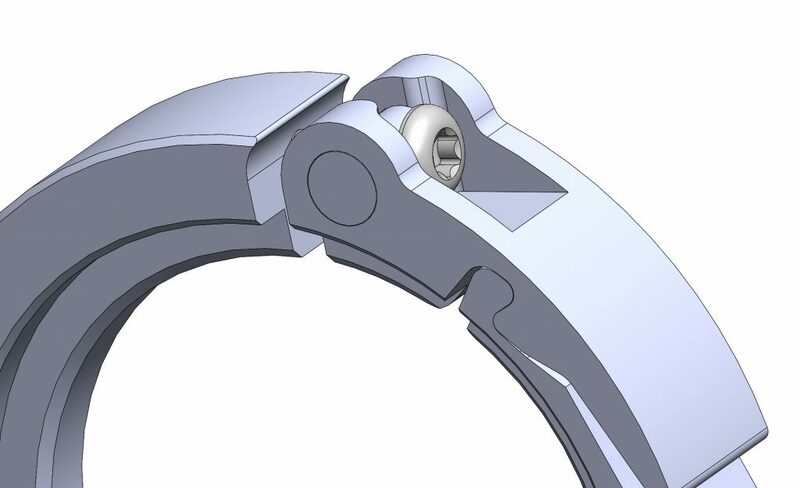 We’ve patented a new clamp design that we hope will impress the judges again this year. November 16-18 2018 is the Grand Finale of our 2018 season when we attend the Goodguys 21st Southwest Nationals at the WestWorld of Scottsdale in Scottsdale Arizona. A huge car show to round off the year for us. We hope to see you at one of the car show this year. Come by and let us show you our new product line up for 2018.